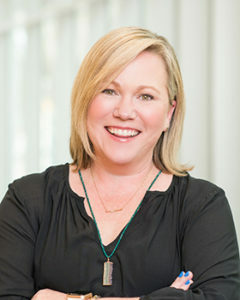 With over 20 years of marketing and advertising experience, Molly develops and oversees the brand, creative, and communication strategy for Trinity Capital Advisors. She works closely with the firm’s asset managers and leasing team to guide customized brand and marketing strategies for each asset. Molly manages Trinity Capital's marketing department, writes and audits communication pieces, and manages both internal and external public relations and brand interactions. She also works with external marketing and creative vendors to help execute marketing initiatives and materials. Molly is a graduate of the University of North Carolina at Chapel Hill’s School of Journalism and Mass Communication.